Idea Book: ACE 2018 Finalist AOO Events, Inc. The Achievement in Catering & Events (ACE) awards honor those who have worked tirelessly to keep their clients thrilled and their companies on the cutting edge. Each year, caterers and event planners from around the globe submit their best work from the past year in hopes of being recognized as the best in the industry. 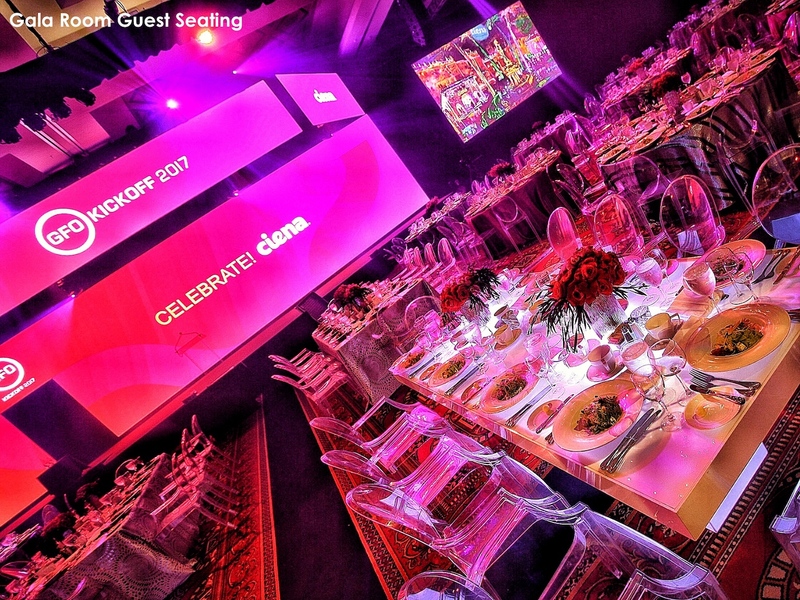 Catersource’s annual awards show, also including the ICA CATIE awards, took place in Las Vegas at Caesars Palace on February 19, 2018. Each company submitted two events for ACE consideration. Here is a look at the two events that earned AOO Events the title of Finalist in Events West over $2 million in revenue. 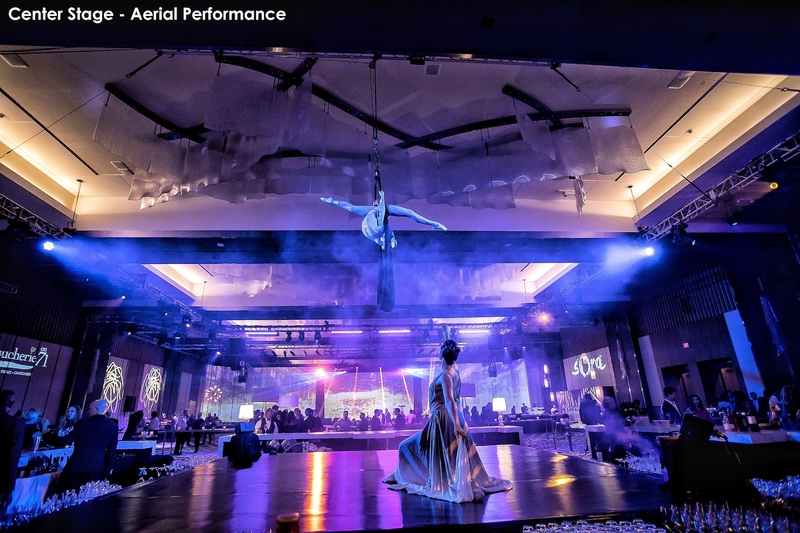 The City of Angels became more heavenly when AOO Events created a stellar opening event for a new luxury hotel. 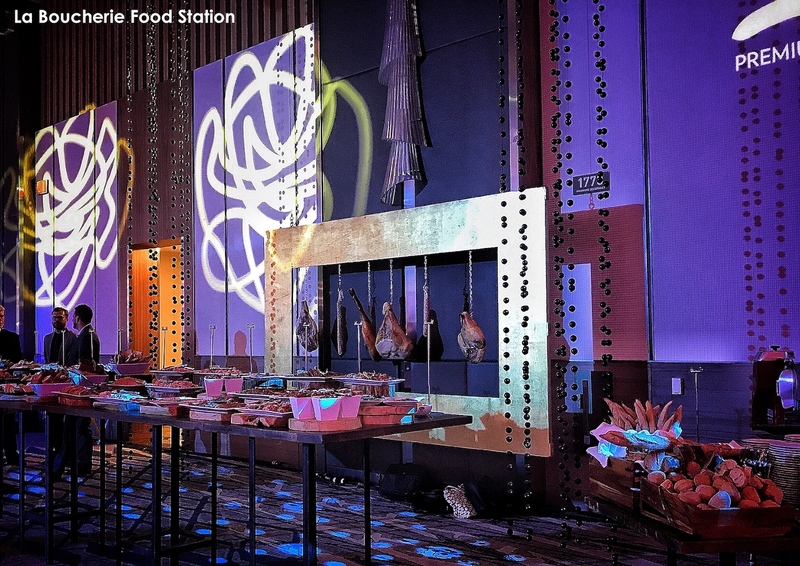 The individuality of the venue was brought to life by pop-up restaurant experiences from the upscale hotel chefs, who presented their dishes in front of custom-designed backdrops. Décor as appetizing as the food itself. Photo courtesy AOO Events Inc.
Entertainment was also varied and dramatic, as performances took place on both a main stage and bar stage, keeping guests intrigued and involved. They included an aerial hoop routine, an interactive dance involving moving crystals, a duo-trapeze act, and a cane contortionist, enhanced by lasers. The screens changed with each performance, matching the style, texture, and energy of the moment. See David Merrell at Catersource! Click here to see the sessions he is involved in! The performers were as unique as the hotel itself. Photo courtesy AOO Events Inc. Seating was opulent and cozy, garnished with lush throw blankets and pillows. Because the building was brand-new, AOO had limited time to plan and set-up. In fact, only 50 percent of the venue’s elevators were operating until four hours prior to the event. Despite the challenges, the attendee moods soared as high as the hotel tower! 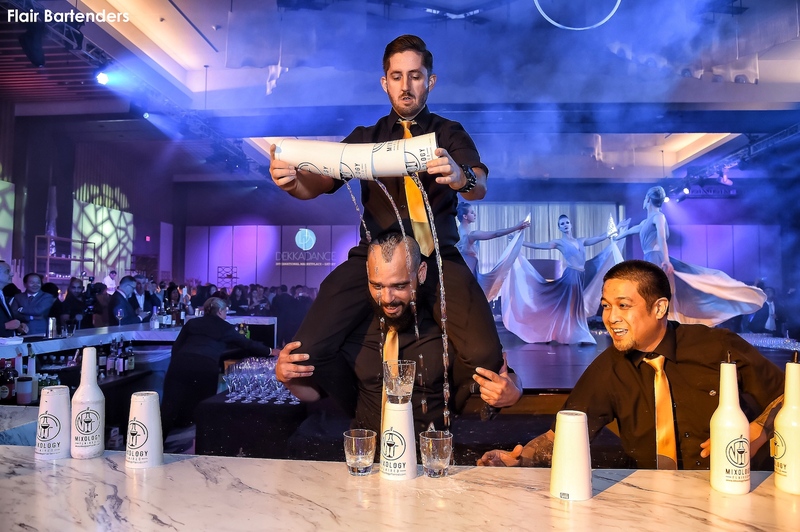 Performing bartenders put smiles on guests’ faces. Photo courtesy AOO Events Inc. Applications for the 2019 ACE Awards have closed, but you can cheer on the winners at the Spark! Awards Gala on February 25, 2019 in New Orleans, LA, featuring the culinary skills of Chef Curtis Stone and his team from Curtis Stone Events. Click here for more information! When a company re-brands, ensuring that employees understand and embrace the change is part of the challenge. 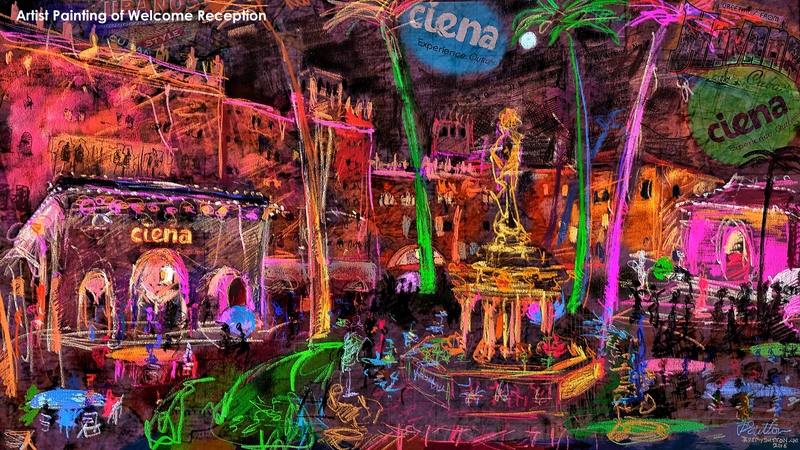 AOO Events took on this challenge with a memorable activation for Ciena. From the hotel fireplace to the swimming pool, the logo was featured throughout, and the space was laid-out to encourage interaction and involvement. Making a splash with the new brand. Photo courtesy AOO Events Inc. 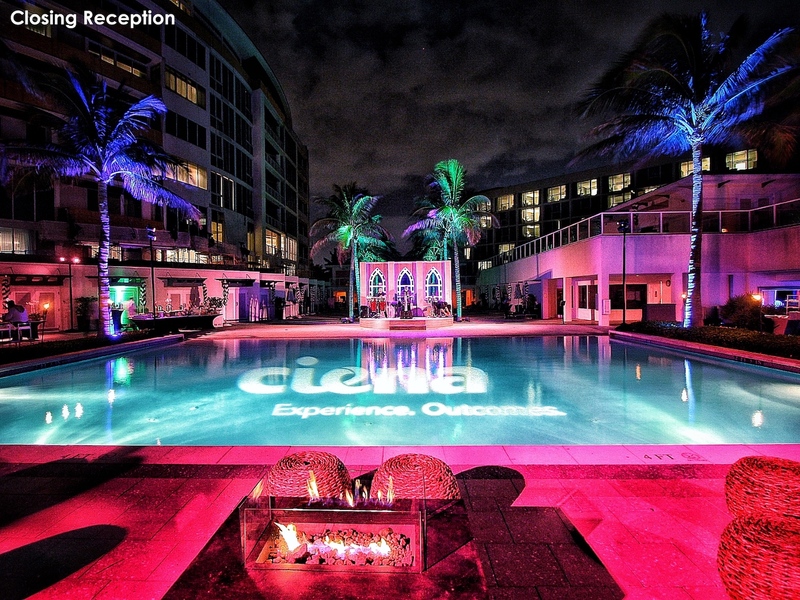 The new image of Ciena comes to life as guests arrive. Photo courtesy AOO Events Inc. Awards were a part of the sale meeting, but AOO took care to keep the entire team motivated by showcasing opportunities and awards for future years. Says David Merrell, CEO/Creative Director of AOO, “We understand the needs of the client from a multi-disciplinary approach, weaving the message through key touch points in décor and show production.” This in-depth customer focus has earned AOO a lead role in producing corporate meetings, marketing events, movie premieres, private parties, weddings, anniversaries, and other special events from coast to coast, as well as internationally. The color scheme was consistent and as hot as a Miami night. Photo courtesy AOO Events Inc.
Get great ideas for your next event at Catersource! Click here for more information or to register.